Titanfall is one of most anticipated games that are going to come out in 2014. Being developed by a new Studio created by some guys who formerly worked at Infinity Ward and were responsible for the development of Call of Duty franchise, Titanfall is a first-person shooter game that will be released on March 11, 2014 as an exclusive title for Microsoft platforms. The game is online multiplayer only and involves giant mech-style Titans. Keeping aside the other two platforms, Titanfall is going to be a big game for Xbox One users as it has already been dragged and criticized much by developers and fans. The game also impressed many people when it was first showcased at E3 2013. Microsoft has a hobby to paint its gaming consoles in the color of the most famous or celebrated games released on them. The manufacturer has released a bunch of limited edition Xbox 360 consoles since the original one was launched back in 2005. Now after the launch of its next-gen console, it is obvious that Microsoft will put most of its efforts in promoting the Xbox One. So releasing special/limited edition Xbox One consoles will help Microsoft flirt gamers to buy the company’s latest console. 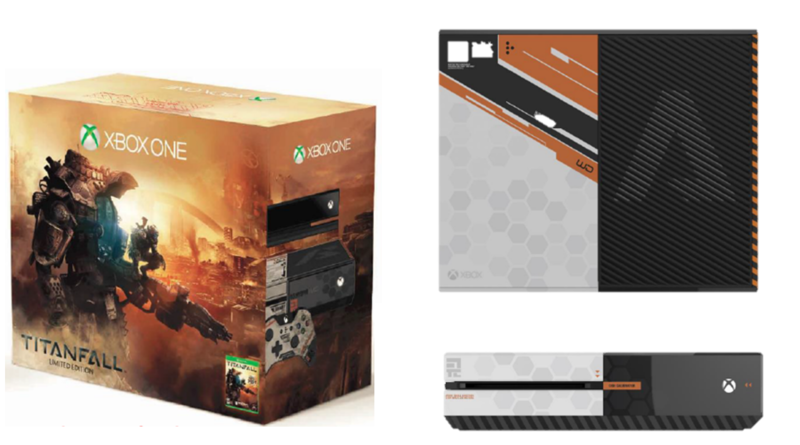 Recently, many rumors and leaks claimed that Microsoft is working on a new limited edition Titanfall-themed Xbox One that will come bundled with a likewise controller and a copy of the game. DualShockers claimed that Titanfall-themed Xbox One was real and Microsoft wanted to release it but the high development costs lead the idea to scrap. However, Microsoft did launch a limited edition Titanfall-themed Xbox One controller. 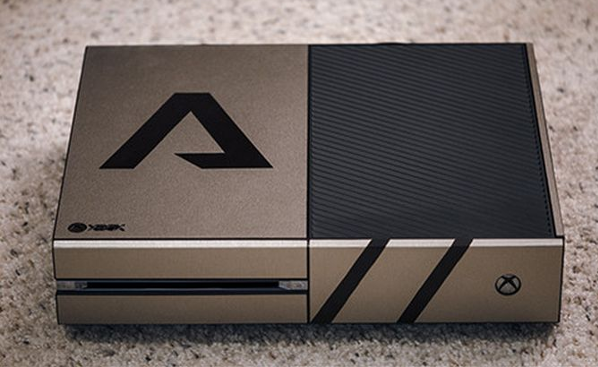 Nevertheless, no one can stop Titanfall fans from creating a custom Titanfall-themed Xbox One console. 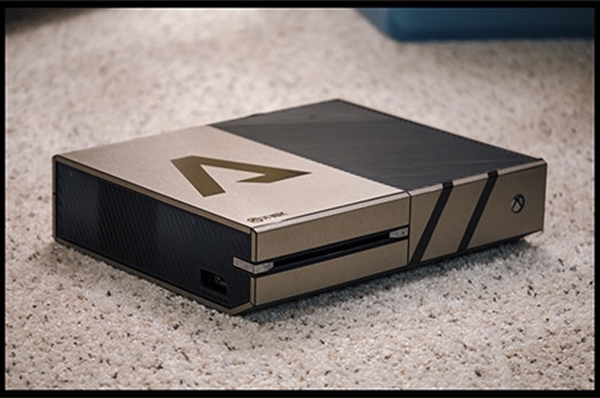 Yes, Nal1200, a Reddit user has managed to create a sleek and classy Titanfall-themed Xbox One, one that looks much better than what was shown in the leaked image of rumored limited edition Xbox One. 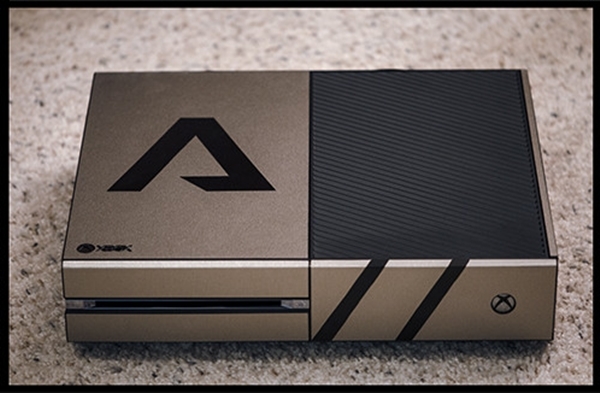 You can watch a few more images of the custom made Titanfall-themed Xbox One console below. You can also turn your boring black Xbox One into something like what is shown in the above pictures, if you have good Photoshop skills. 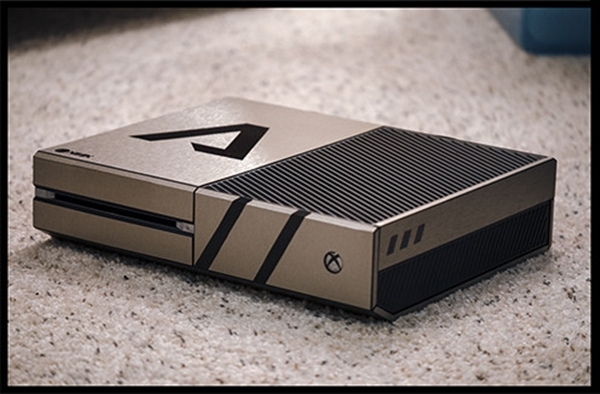 According to Nal1200, the Xbox One body kit that is used in creating this Titanfall-themed Xbox One is made of Brushed Titanium and was bought from iCarbons. The “A” logo in Titanfall font was created in Photoshop (white version of the logo is also available). Following is the Nal1200’list of things that were used in making of this console. Made stickers out of the photoshop emblem using StickerYou. The decals on the front face and side were a spur of the moment idea when I realized I had ordered two stickers instead of one. I just cut them up and stuck them on. If you decide to try this, I’d recommend using one of those paper trimmer things. If you are planning to build something like this, the Brushed Titanium body kit can be bought easily from iCarbons but you’ll have to design that logo yourself. Building a custom themed Xbox One console would cost some extra cash but the results shown in the picture are enough to cover the cost. Just for comparison sake, below is the leaked image of Titanfall-themed Xbox One console that was rumored to be in development.